It’s all in here…the history of the farm, gorgeous photography and seventy-five mouth-watering recipes featuring fresh produce from Bartlett’s Farm. 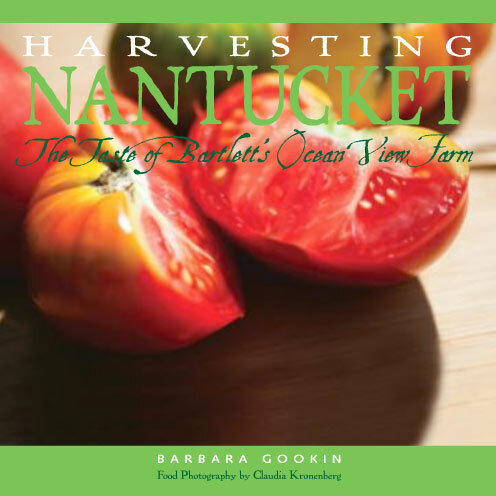 Written By Barbara Gookin, this beautiful edition will make a great gift or a long-lasting keepsake of your trip to Nantucket. With food photography by Claudia Kronenberg and recipes collected from local chefs and from our own farm kitchen, you may have a hard time deciding whether this book belongs on the coffee table or on the kitchen counter! Hardcover. 128 pages.